Purpose: Criminal law distinguishes aggravating factors such as “heinous,” “atrocious,” “cruel” (HAC) or “depraved” as features of a crime that warrant more severe sentencing. This review examines whether these aggravators are fairly applied, and how they can be refined to best serve justice. Methods and results: Current HAC statutes, and appellate state and Supreme Court cases, were comprehensively reviewed to determine how these statutes are interpreted and applied. The review revealed discrepancies in definitions across states, and descriptions that were often vague and would potentially lead to inconsistent application. 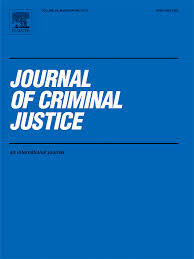 These shortcomings highlight a need for evidence-based definitions that guide inexperienced jurors, provide judges and juries with a fair and consistent process for making such decisions, are easily applied to a range of case fact-patterns, and are informed by elements of depraved crime that society deems relevant. Conclusions: HAC aggravators, despite efforts to refine them in response to court rulings, do not prevent impressionistic conclusions affected by bias. These aggravators remain vulnerable to arbitrary application. A Depravity Standard informed by a reference point of felony cases and public input would assist the trier of fact to assess depravity in crime in accordance with societal standards, and improve the fairness of sentencing.